The main reason I don’t use a Chromebook for my work here at AP is that I can’t run full Photoshop on it. 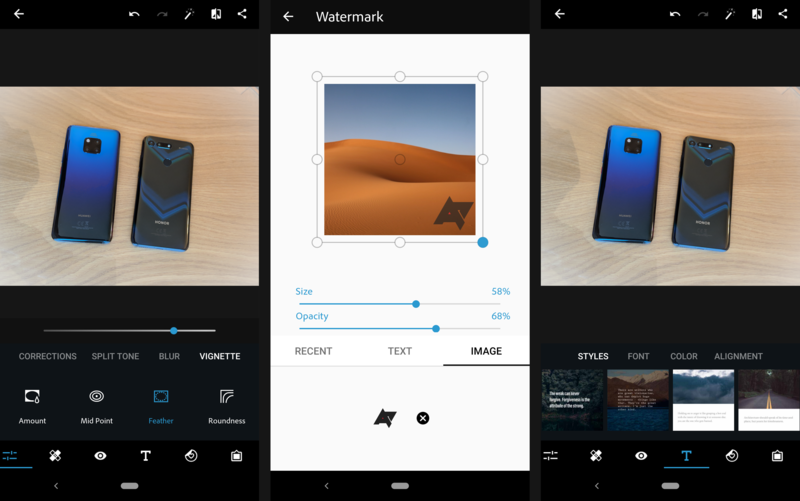 Proper watermarking is one use case that hasn’t been possible in the Photoshop Express Android app, but the functionality has been greatly improved in the latest update — even though most people will have found another solution for this by now. As Adobe’s changelog admits, watermark resizing was a much-requested feature, and now it’s here. You still don’t get full control over the positioning, but it’s far more useful than it was before. The below image is one I was able to quickly put together with the latest update; the watermark would have been much smaller previously.